Hey i was in a yamaha dealer the other day and saw the new bolt. I thought it was a good looking cruiser, but not really the most amazing thing out there. Then i went home and checked it out on the net.... then i stumbled on this! but now that i've seen the scrambler idea i'm wondering what you guys think. Is the superhawk going to be able to handle knobby tires and unpaved roads, is it going to be way too powerful for loose gravel? is it going to look like a steaming three coiler planted on the floor of my garage? For the love of...PLEASE don't bob the seat on the Superhawk. Pretty please? My other machine with my VTR here is an XL1000V Varadero. Same motor, but injected in the Vara. This model is commonly called "the gravel road Gold Wing". Mine's been clocked at 210km/hr (about 130mph) on a gravel road. You can strip a lot of stuff off the Vara and end up with something better, easier - long travel suspension etc. Lots of the European Varadero owners put knobby tires on and go touring in North African desert lands. However, as always when you strip down these things to bob or scramblerise or retro cafe them, there's the quandary of what to do with the bloody radiators. Last edited by PJay; 12-06-2013 at 12:14 AM. I like the look of the Yammy, sort of a modern XT500. Good for cruising the back roads. The radiators sure are a pain in the kiester. I've got a donor sv1000 rad that I've been trying to mock up with a couple fans. I think I'm on my third Styrofoam template, all trimmed In different ways and still can't seem to find any room in the front with the forks collapsed. My next thought had been to bring the triple clamp all the way to the top of the fork tubes to try and get a little more clearance. I know it will bugger the handling a little but it should get less twitchy not more right. Depends on the gravel road. I do a lot of backroads and offroad touring on my various bikes - and occasionally ride my VTR on gravel, as well - so I'm used to it. I grew up (to the extent I ever did) on a farm at the far end of 40 miles of gravel road. "40 miles of gravel road". I had to think about that for a second. A trip into town was probably a big deal, not only to be going but to get there. . eta I like the scrambler. HAHA! I feel you... My 2 cents- I think much of the problem is the "bobber" thing (very much like the "streetfighter" thing) is SO overdone by every fool with no taste with a hacksaw and a can of flat black spray paint who either wrecked his bike or watched too much tv. Search "bobber" or "streetfighter" on craigslist and you'll find MAYBE one or two that are actually nice bikes. Everything else is a hacked up shitbox that became the quick route to zero resale value. Yes the really cool well built ones are out there, but so many are garbage. 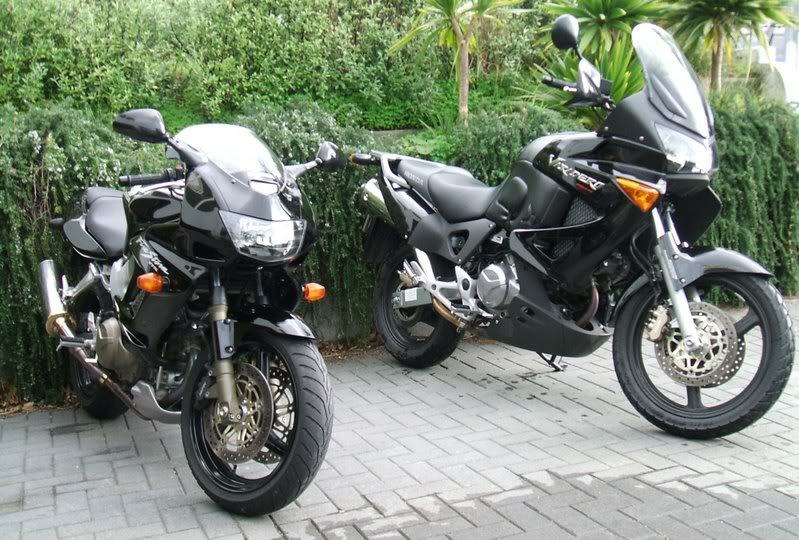 FZ1 Converted to Dual Sport - Your Jap Multi Conversion? Home Page. Yeah, I totally agree with that!! Every time I hear "streetfighter" I think "crashed- missing parts and nothing was fixed". There are a few that don't fit into that, but they are the exception to the rule. 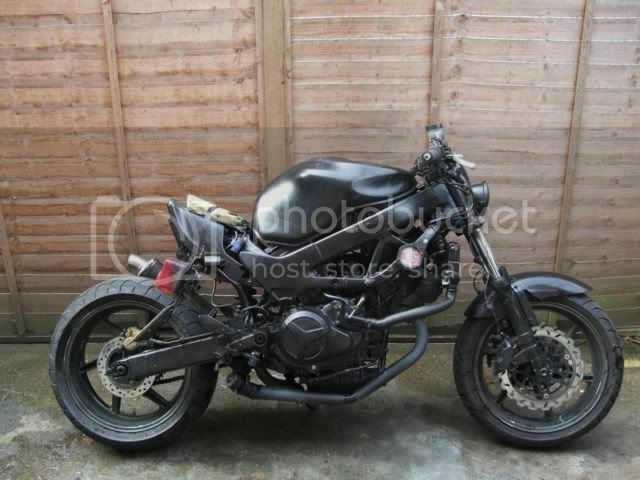 And the bobber Mad Max reject bikes look even worse to me. But a good scrambler/tracker conversion is the bomb!! 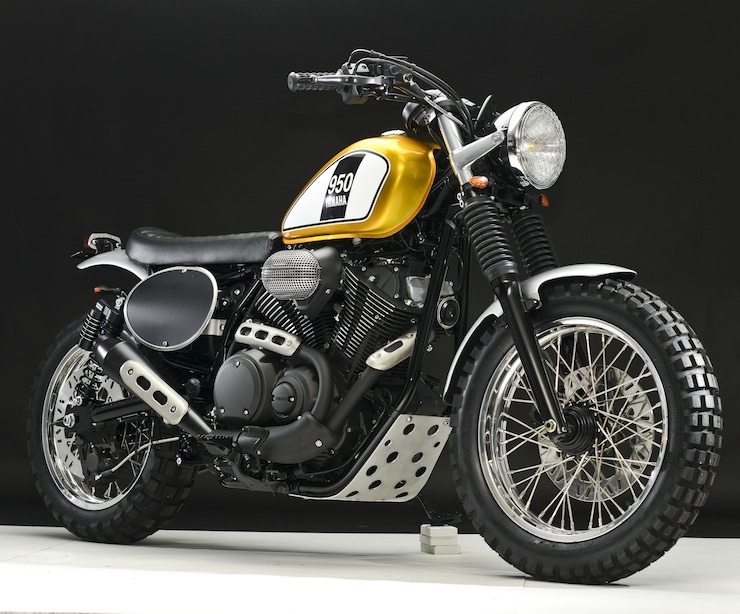 I was looking at doing the Yamaha 650 tracker conversion until I realized how pricey that hold XS650 twin had become... primarily due to it's popularity with the bobber crowd, I think. I think much of the problem is the "bobber" thing (very much like the "streetfighter" thing) is SO overdone by every fool with no taste with a hacksaw and a can of flat black spray paint who either wrecked his bike or watched too much tv. LMAO perfectly put "Did you customize that yourself, or did you buy it all Phuct up ?"